DQS is a SF6 gas insulated ring main unit for the secondary distribution network. DQS is compact designed and suitable for most switching applications in PV power station ,wind farm and other 12-40.5 kV distribution networks. DQS is a completely sealed system with a stainless steel tank containing all live parts and switching functions. 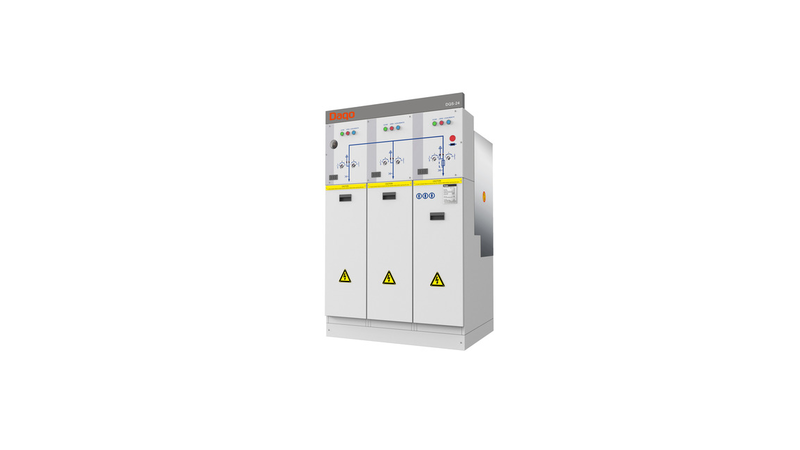 DQS is fully comply with the IEC 62271-100, IEC 62271-200 and GB Standards and TÜV Certification. 1. Adopting deep penetration laser welding and Helium leak detection process to ensure gas tank tightness. 2. Modular design, permutation and combination accord -ing to the design scheme, meet a variety of distribution requirements. 3. Compact design ,available in wind turbine tower applica -tions. 4. Pressure-operated load break switch, strong arcing ability. 5. Long operational life, high reliability. 6. Simple and effective interlock can prevent the mal- operation.